International clinical trials have been conducted in Ukraine since 1996, and the last two decades have confirmed the high reliability and the prospect of an increase in the number of clinical trials involving human subjects in the country. As a large European country with a substantial recruitment of patients in clinical trials, high data quality, low incidental costs and appropriate regulatory compliance that fully meets international standards and requirements, Ukraine is a modern, attractive market. Nevertheless, the Ukraine’s population in comparison with other countries remains insufficiently informed about the sense and statistics of carrying out international clinical trials with involving human subjects in the country and in the world. English-language version of the Portal for professionals in the field of international clinical trials around the world. 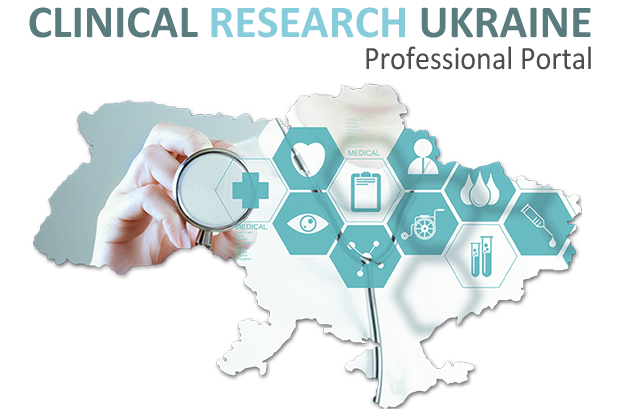 Ukrainian-language version of the Portal for patients and investigators in Ukraine. Russian-language version shortened to get acquainted with the Portal. To form a positive image of international clinical trials in Ukraine. To highlight new world achievements and trends in the field of international clinical trials on medicines, medical equipment, stem cells. To provide regular statistics on international clinical trials in the world and in Ukraine, using open international data and data from the Ministry of Health of Ukraine. To promote the development of the field of international clinical trials involving human subjects in Ukraine on portal of clinical trials.